BAT - BLOG : BATMAN TOYS and COLLECTIBLES: Authentic 1966 BATMAN TV Series BATMOBILE CAR Photo Signed by GEORGE BARRIS! 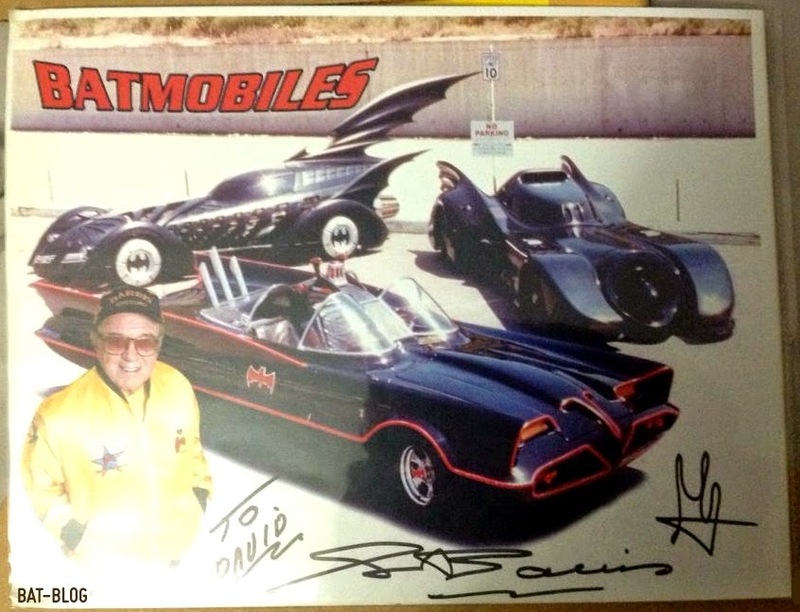 Authentic 1966 BATMAN TV Series BATMOBILE CAR Photo Signed by GEORGE BARRIS! A Bat-Blog Fan named David sent us some totally wonderful pics the other night that we knew we had to share here. 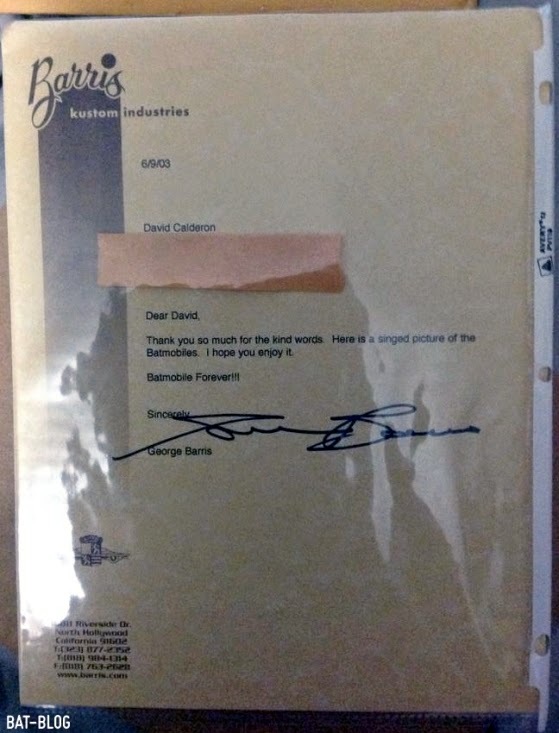 Back in 2003 he wrote a letter to Mr. George Barris of Barris Kustom Industries. It was a simple letter, just saying thank you for being a part of his youth, as he grew-up watching reruns of the 1966 BATMAN TV Series and dreaming of the magnificent Batmobile car. Never expecting anything in return, really just saying, "Thanks for the memories". Then, to his surprise, he received the autographed photo up above and this letter! Now, I know a ton of people who have met Mr. Barris at Comic Book Conventions, Car Shows, etc... and everyone says the exact same thing. That he is a ultra friendly and a very nice person. That is so cool! I hope I get a chance to meet him someday because I too would thank him for making my childhood just a little bit better. Thanks George, and Thank you David for sharing your fun pics and story.